Once we reached, rain poured hardly from the sky. Luckily we managed to reach there before the rain came. Hubby and I went to Sheng Siong by bicycle and bought our dumplings there. When reached home, we started to prepare the food. At 7.20pm, my hubby's benefactor came with his two sons. Too bad his cousin and his families were unable to come. 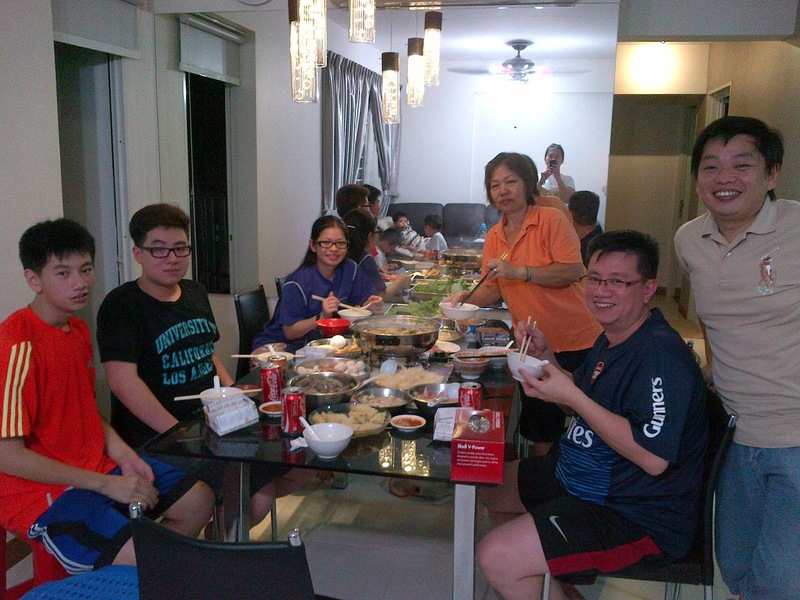 We actually invited them especially for this steamboat as we seldom have meal together. When he wrote the message to me, I was still thinking that he might bluff me, but he didn't. 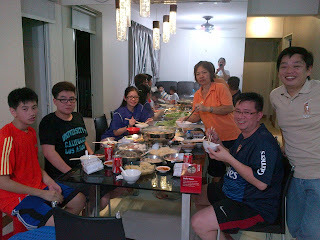 There will be series of steamboat this weekend inviting hubby's cousins, my friends, etc. Just hope I'll have enough sleep and rest during weekend :D Enjoy your long weekend everyone!! !